I told you about a BIG autograph that I got at the game on Friday night. 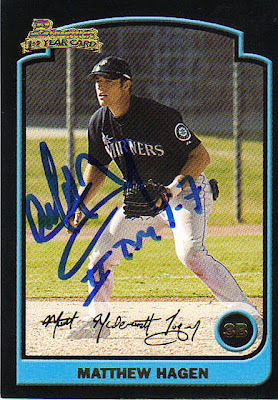 This Matt Hagen card was our 500th of the season! He plays for the Somerset Patriots in the Atlantic League. Most of them we have gotten ourselves and some have been donated...either way 500 was a big one! 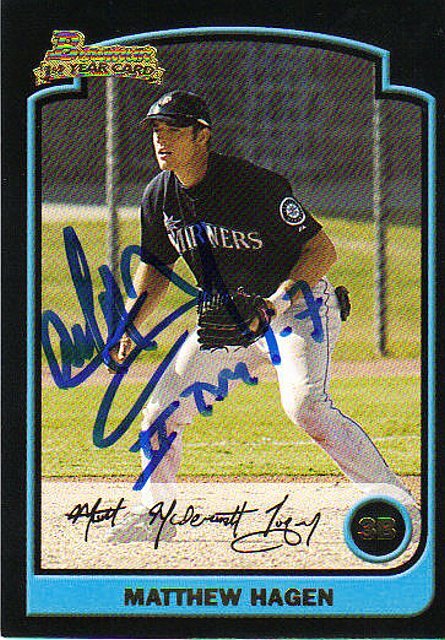 Sorry Matt, you don't win a prize but you do get your own story :) The card is a 2003 Bowman and he signed it with 2 Timothy 1:7. Thanks Matt!